PIONEER ENTERTAINMENT presents the launch of their first comic book line! 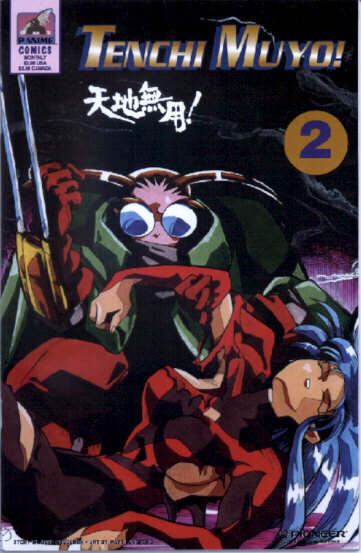 Comics based on the popular Japanese Original Video Animation Series: Tenchi-Muyo!, Phantom Quest Corp., El-Hazard, and Moldiver. The Comicx will be 32 pages with full color cover. Future issues of every comic book to follow monthly. 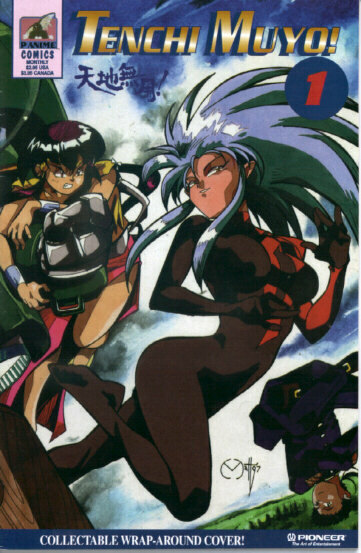 status to A1 like Ryoko by defeating her. The PQC specializes in resolving paranormail incidents that the Police Department can't handle. New York while attending an International Paranormal Investigates Expo and Convention. With Misaki away on a mission in outer space, Mirai (Moldiver II) misses her true love immensely. In a battle with Dr. Machingal's Dolls, Mirai encounters a handsome guy who is a friend of Mao. 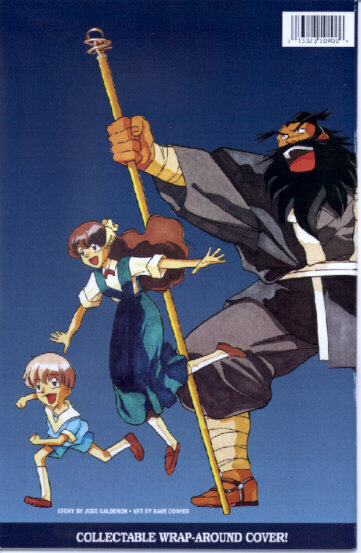 get Ifurita back to El-Hazard and he learns that there are ancient machines somewhere which may help him. 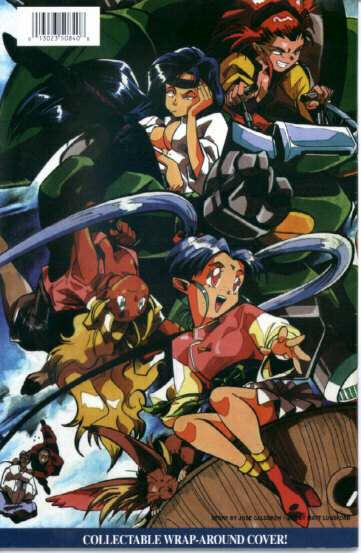 Note C1: Tenchi-Muyo! #1-6 and Phantom Quest Corp. #1 are currently unavailable. 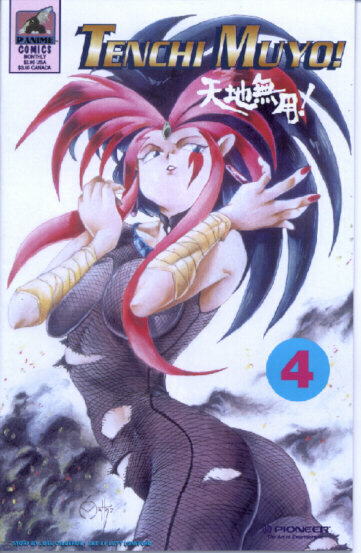 But most likely these back issues can be found at any comic book store in their 'Japanese Manga' section, at Anime conventions, or even in online auctions. 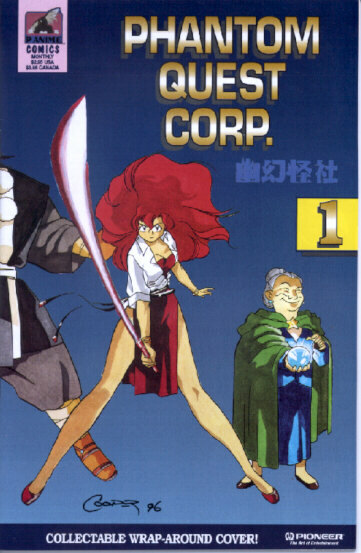 Note C2: Phantom Quest Corp. #2-4, Moldiver #1-4, and El-Hazard #1-6 were never released. Their PREVIEWS solicitations are reprinted for informational purposes only. DISCLAIMER: All pictures on this and other pages are trademarked by Pioneer/AIC and are used on these pages without permission for informational use only.